ICO’s have been circulating around the Ethereum network for some time now. We’ve seen some of the craziest raises in history just on the basis of a theoretical whitepaper, some intelligent engineers and the promise of eliminating the middle man. While these grand promises are the eventual goal, most do not maintain practicality or the ability to handle a massive load of users. When I mention practicality, I not only refer to the ability of going from theoretical to operational, but practical in the sense that the application in question could be used on a day to day basis. This is where I believe Augur shines. 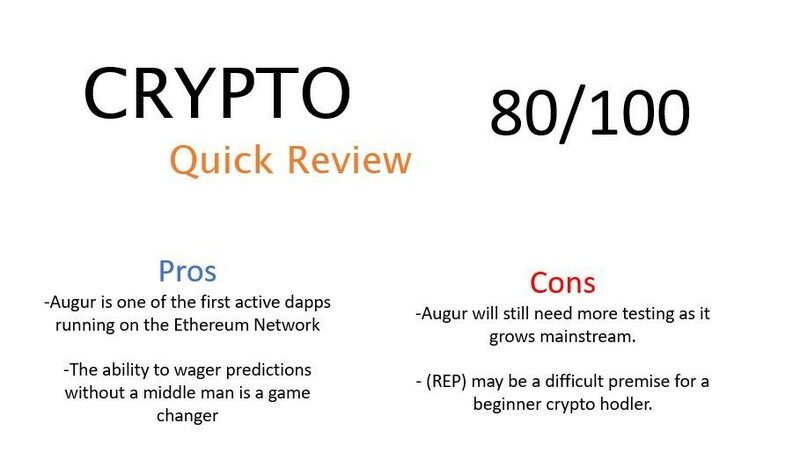 Augur is a decentralized prediction market platform operating over the Ethereum network. They use smart contracts written on solidity to facilitate transactions that originate from the use of any prediction that can create a market for transaction. For example, if a market originates over the platform relating to the United States 2020 election, users on the network can wager who they believe will be the winning candidate. When this event occurs and the wager is over, the winner may collect in ETH. Seems simple enough for a DAPP. 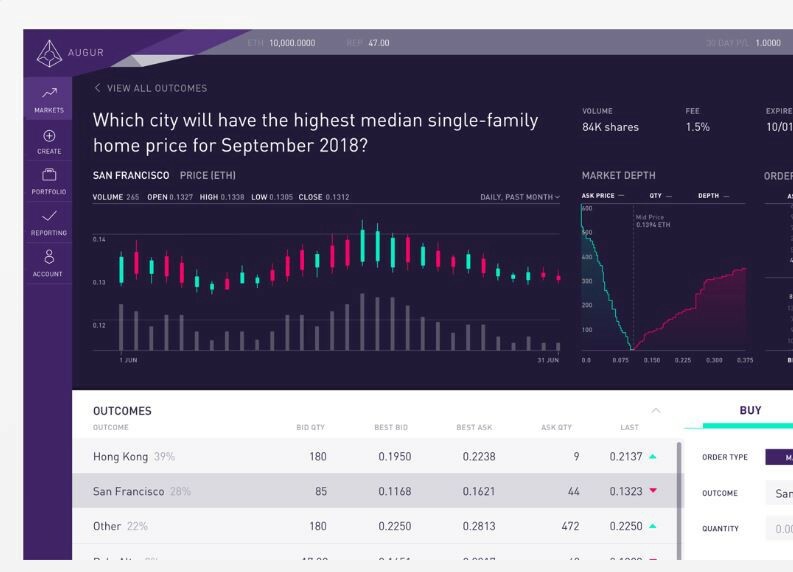 As of summer 2018, Augur is also one of the only major Ethereum applications that is live and can be tested. This means purchasing (REP) is more stable than most cryptocurrecies, since its value can be analyzed by platform operation. A majority of cryptocurrency trading today is still based on speculation for potential. It is also important to factor in Augur’s initial coin offering, which raised just under six million dollars. This is quite reasonable when considering its launch, viability and ability to properly speculate. This is compared to other ICO’s with applications that raised more than double the funds and are still in development. 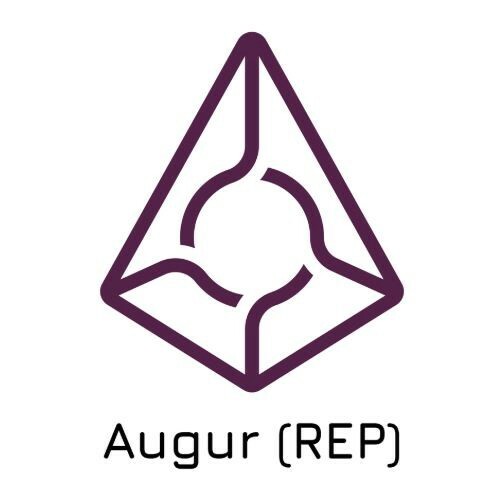 While Augur is an innovate dapp with potential, the protocol is still new. This means we need to see how people react to the platform, as well as whether the (REP) system for staking trust isn’t without its own mainstream issues or bugs. Jonah Blake is the Founder and Managing Member of NewCurr and he is the original creator of the Proof of Information protocol and Tiered Ranking model for blockchain designs. He brings extensive experience and hands-on development from his work in patent development and mainstream product design. Before NewCurr, Jonah founded and patented DebtMet, the worlds first social finance network built to tackle student debt.